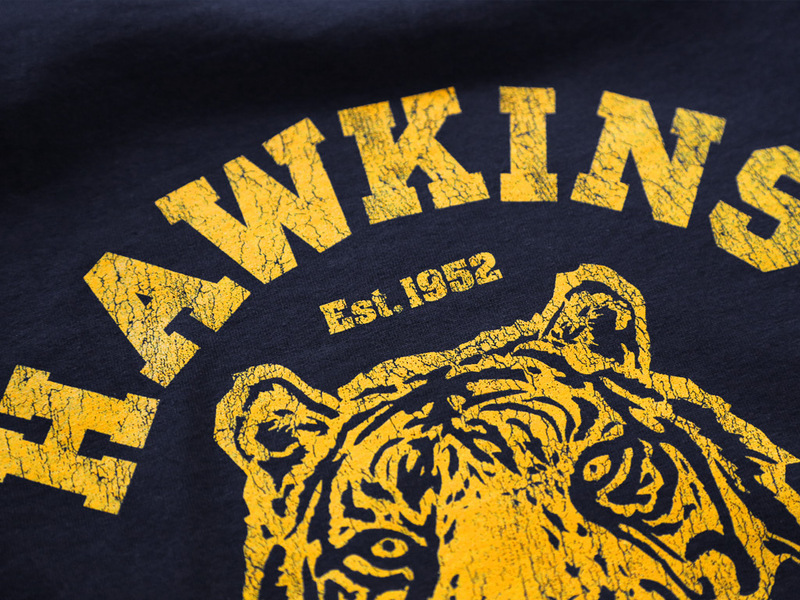 A single colour design, hand screen printed on a fitted 100% cotton navy T-shirt. 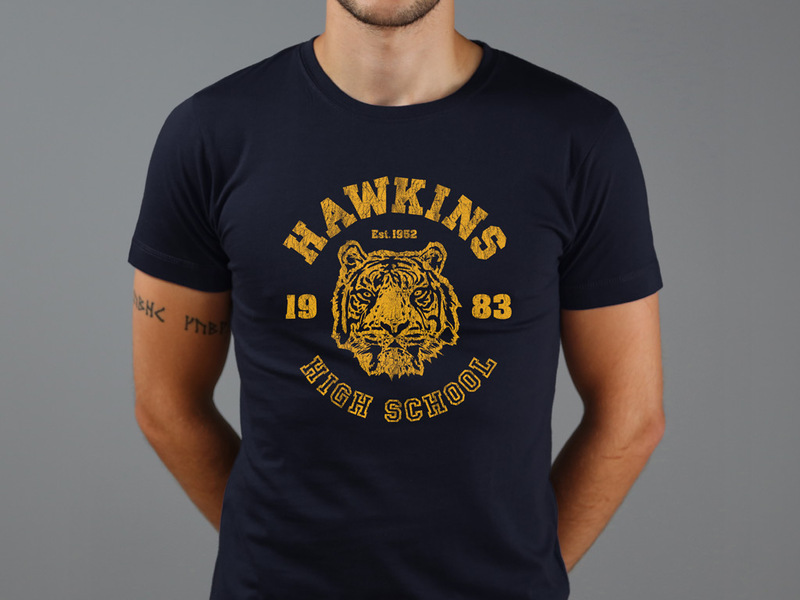 Inspired by the fictional school featured in the TV series, Stranger Things. True story: a couple of months ago, I was stopped by a complete stranger, coincidentally near 55 Central Park, NY, to be told excitedly that I was wearing “absolootely the coolest T-shirt on planet Earth”. This was quickly followed by “where the hell d’ya geddit dude?” That T-shirt? Last Exit’s Venkman/Stantz/Spengler.